Get decked out in denim this year! It's a new year and that means tons of new trends are coming our way. One closet staple that somehow always evolves year after year is denim. 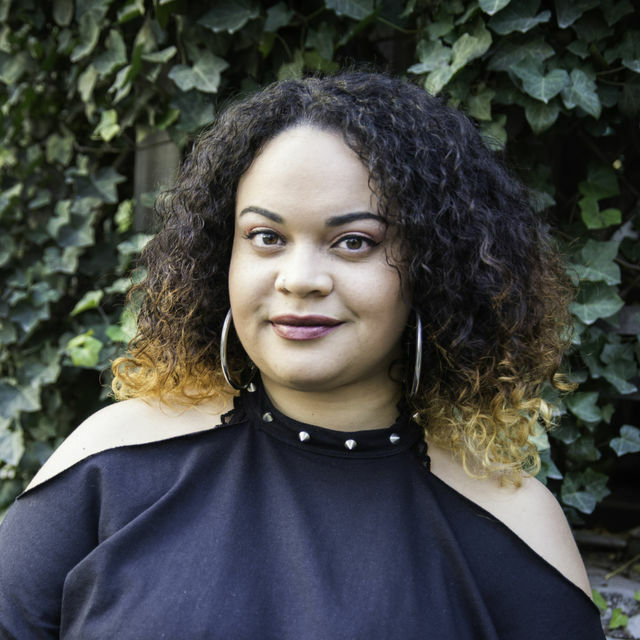 Lifestyle expert Melissa Garcia stopped by TODAY Thursday to share the biggest denim trends for 2019. Prepare yourself, low-rise jeans are indeed on the rise again. And if the other six trends on this list are any indication, '90s style is still making a comeback. Whether you're looking to revamp your style or just want some new jeans, we have a ton of great options for you to consider. Straight cut or straight leg jeans are similar to skinny jeans, except with more breathing room. The width of the hem is straight from the hip to the ankle, which gives them a comfortable fit that can be worn with heels, flats or sneakers. These sky blue straight cut jeans are a more relaxed fit that are engineered "for the perfect rear fit," according to the manufacturer. These fashion-forward jeans are high-rise with straight legs, a washed black pinstripe design and raw hems. Bootcut is back! This popular '90s style is perfect for wearing with heeled boots and booties. These jeans are slim through the hip and thigh with a bootcut leg opening. The classic medium wash is perfect to wear all year long. 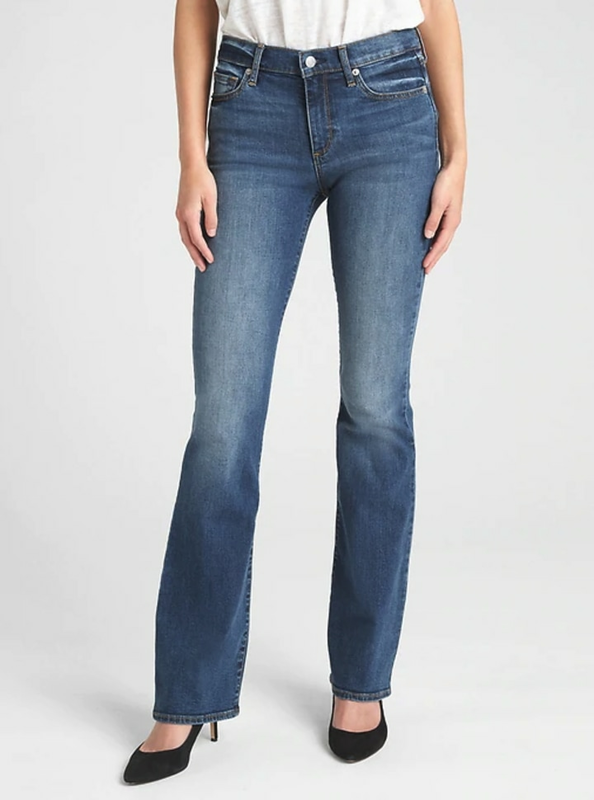 These bootcut jeans feature a stretchy fabric and distinctive line details. This style is basically a skinny jean with some extra fabric at the bottom to give it that slouchy look. Melissa said this style is best to wear with a heal. These skinny jeans look flattering and timeless. They're available in a wide range of sizes, as well as three different washes. Like the other '90s-inspired trends, these jeans have a vintage look. They're slightly slouchy through the thigh and taper in at the ankle. 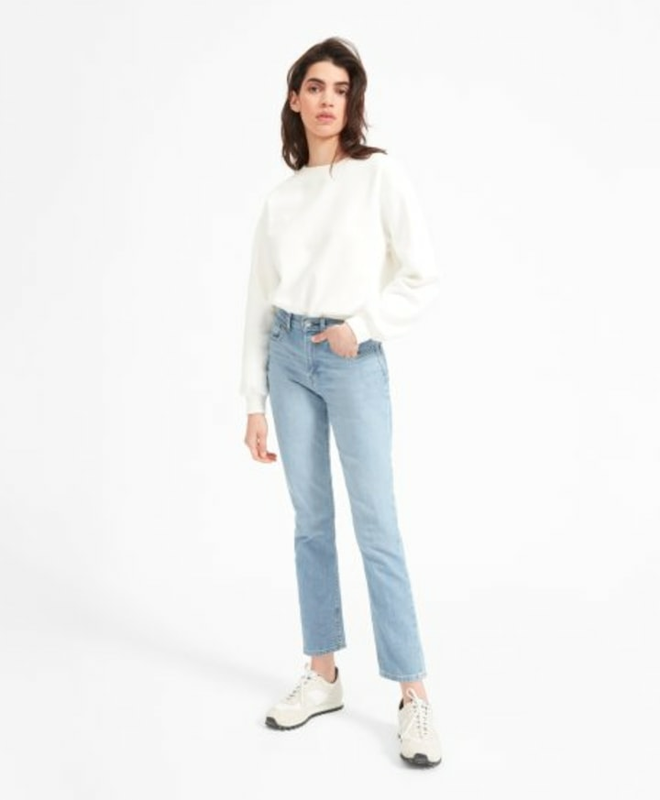 Although many of us may not be too excited about the return of low-rise jeans, the trend is now being made with stretchier material, which can make them more comfortable and flattering. 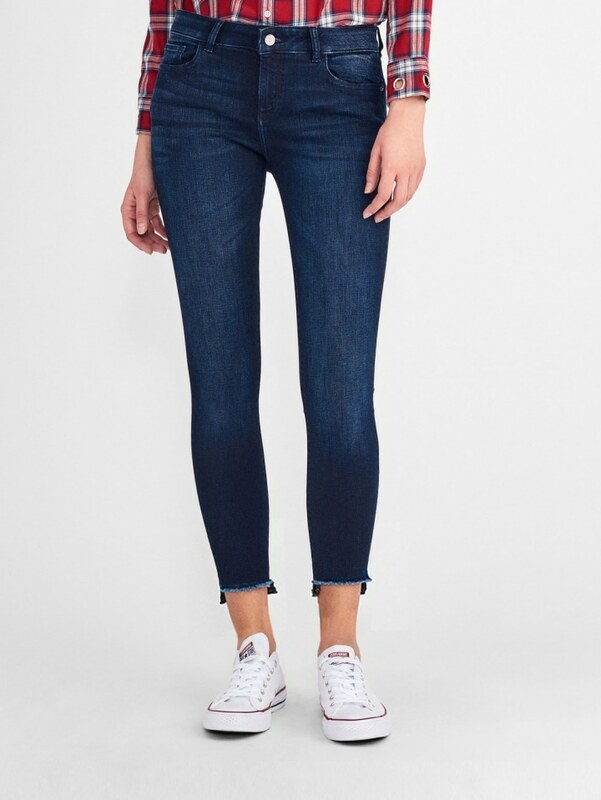 This classic low-rise skinny jean comes in tons of different washes. If you're hesitant about the low-rise trend, this is a very versatile one to try. 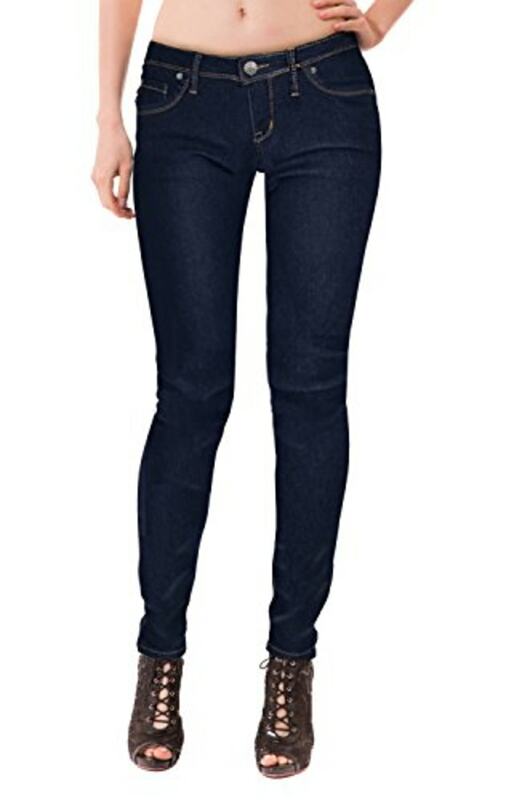 These low-rise jeans are a blend of cotton, polyester and spandex, so they're very stretchy and comfortable. They're also available in a variety of different washes. 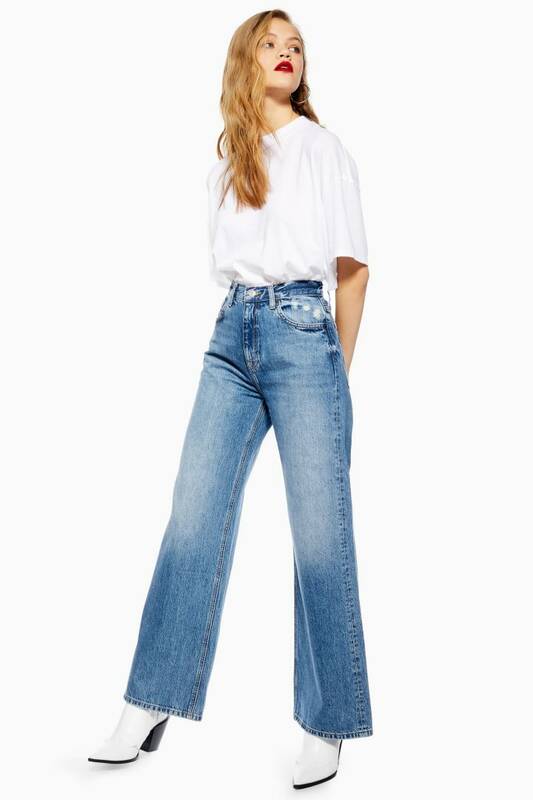 The baggy wide leg jeans are a spin on the "mom jeans." They can be chic and casual at the same time. 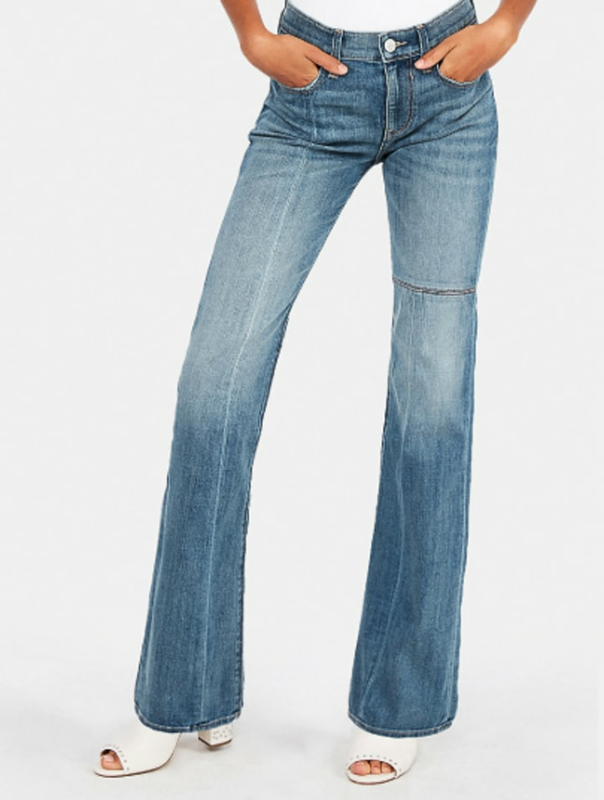 These wide-leg jeans are high-waisted with a mid-stone wash. They're perfect to pair with a graphic t-shirt and ankle boots. 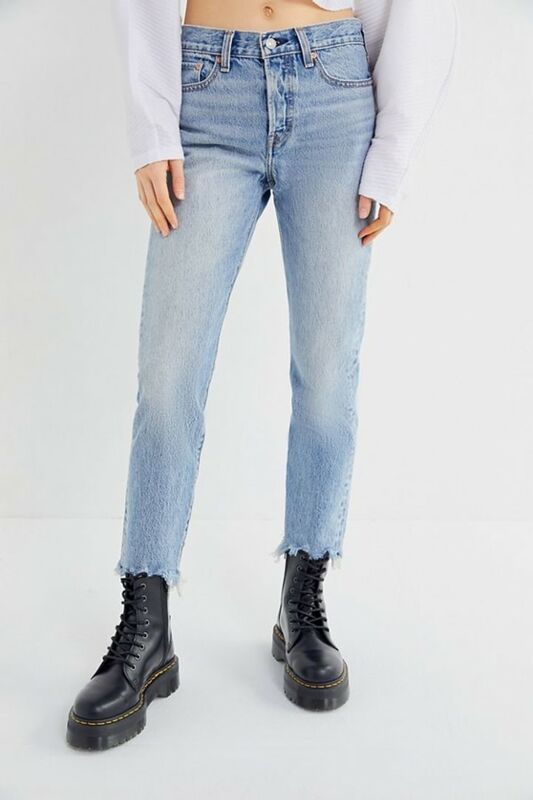 These light blue jeans are '90s-inspired with a relaxed fit. They hit around the ankle, so they're ideal for showing off your favorite shoes. The paperbag waist trend has been seen in denim and other trouser materials as well. It's basically extra material at the waist that is cinched with a belt or tie. 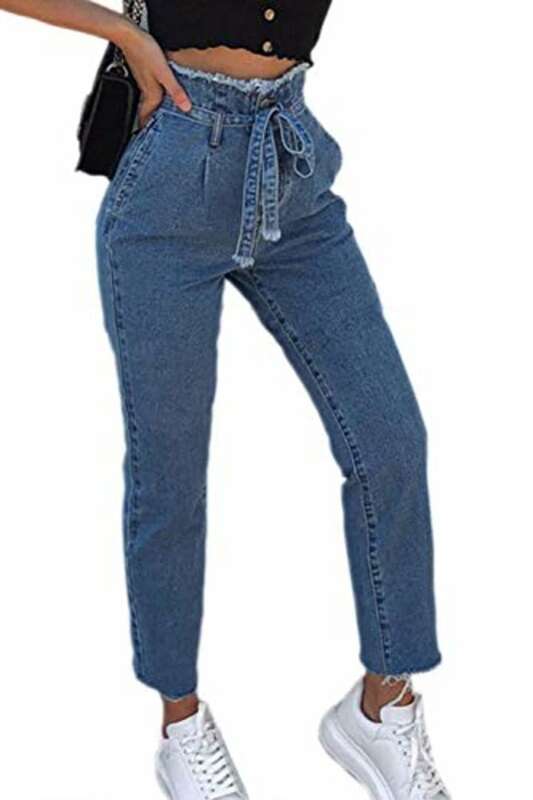 These stylish high-waisted jeans are ankle length and include a belt that ties. This style denim can be easily dressed up or down. 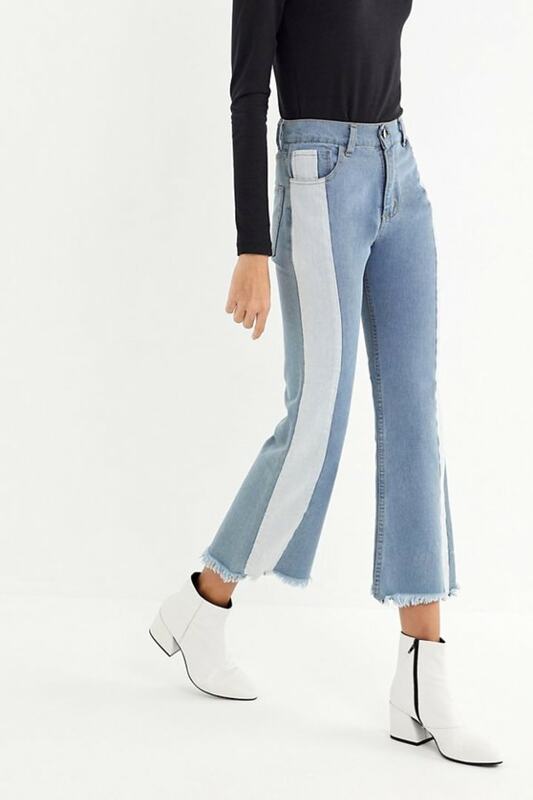 Two-tone jeans are exactly what they sound like. They usually have a darker or lighter tone along the sides or the bottom. These jeans are a blend of cotton and spandex, so they have great stretch. The light wash with darker strips down the seams is a very trendy look. These fun two-tone jeans have a contrasting block going down the sides with a frayed hem.